In a city like New Orleans, our coastlines are very important. 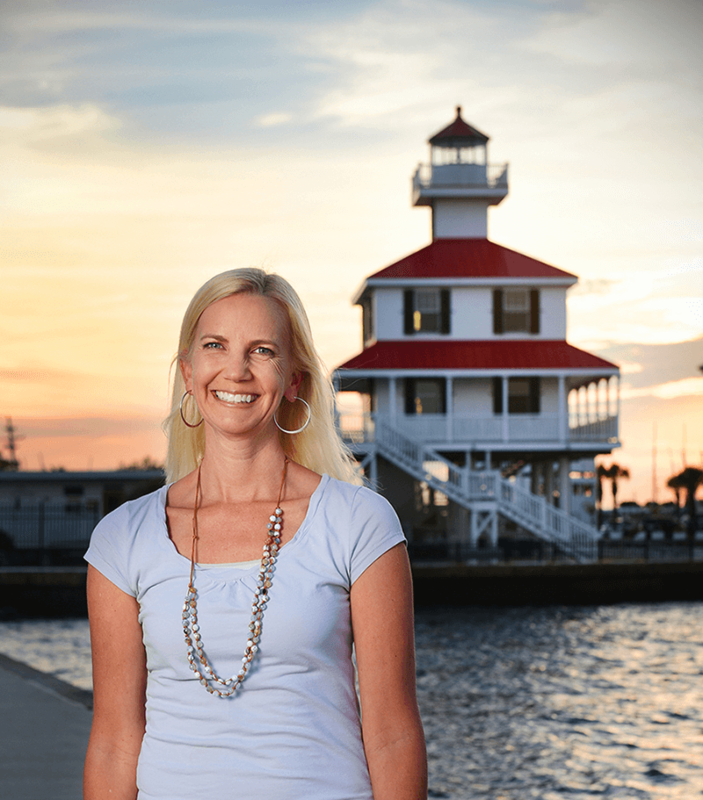 Lake Pontchartrain Basin Foundation’s Executive Director, Kristi Trail, knows this all too well. Operating as a non-profit, Lake Pontchartrain Basin Foundation’s goal is to drive environmental sustainability and stewardship through scientific research, education and advocacy. Another goal is to bring people from all over the world to New Orleans to learn about our ecosystem, our waterways, etc. Trail, a New Orleans native, reflects on her career, the importance of the LPBF and the New Canal Lighthouse Museum & Education Center. My whole life, and I love it here! 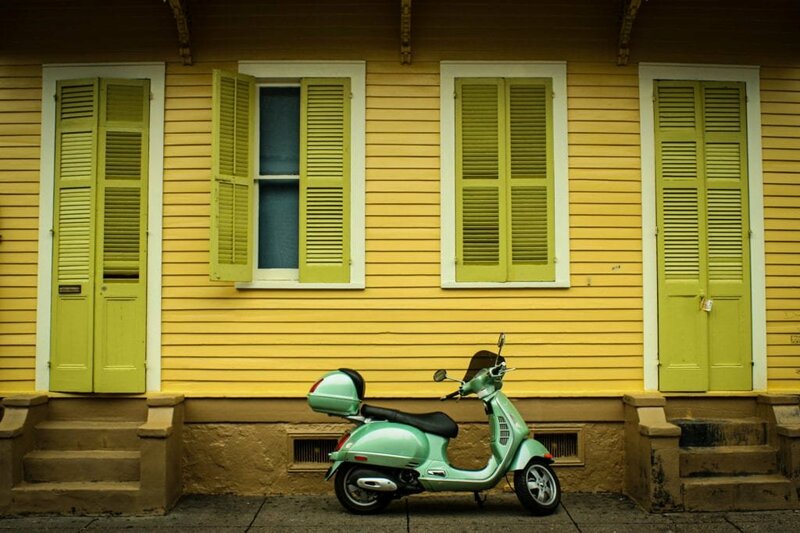 What’s your favorite thing about living in New Orleans? It’s hard to describe. I love the people and the attitude the most. We know how to work hard and play hard. Tell us a little about your background and how you got into your position at LPBF! I’m an engineer by background and worked inthecorporate world my entire career. One day I realized it was time to follow the advice I often gave to students – follow your heart. So I quit my job and decided to look for a job to make a difference in something that I’m passionate about – protecting this area for generations to come. As an Executive Director, what does your typical day look like? There is definitely no typicalday. Every day is different – some days I meet with people, or review budgets, or go visit our scientists in the field… but everyday I do get to talk about the work of this great organization, and that is my favorite part. How important is coastal sustainability to a city like New Orleans? The coast has always been our first line of defense against hurricanes for southeast Louisiana. Recognizing this, the Lake Pontchartrain Basin Foundation (LPBF) developed the Multiple Lines of Defense Strategy designed to help save our coast. Natural features of our coast (like barrier islands, marshes and ridges) compliment man-made features (like levees) to protect the Greater New Orleans area from hurricanes. We need the whole system together, not just one part, to thrive and prosper here for the next 300 (or 3,000!) years. Talk a little about the history behind the New Canal Lighthouse Museum & Education Center. 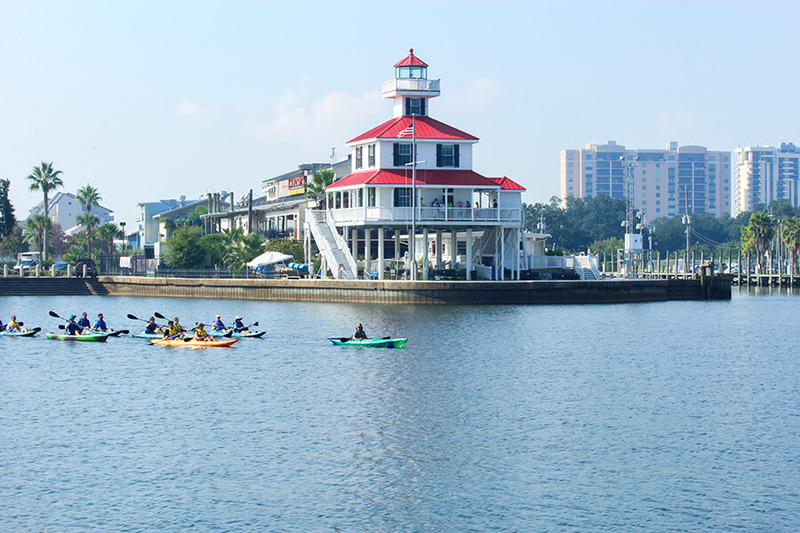 The first New Canal Lighthouse was built in 1839 at the entrance of the New Basin Canal at Lake Pontchartrain. The New Basin Canal extended along what is now West End Boulevard to an area just north of the Superdome. This first lighthouse was basically a cypress tower with a lantern on top set on pilings about 1,000 feet offshore. Since that lighthouse, it has been replaced a few times for various reasons. 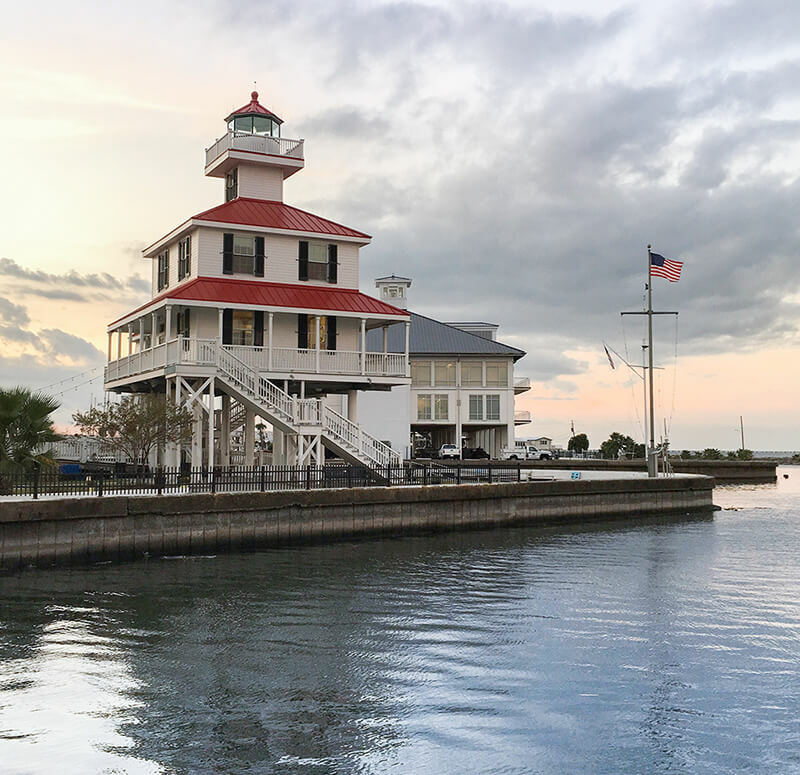 In 2012, LPBF built a replica of the New Canal Lighthouse (it incorporates original wood from the 1890 lighthouse that stood on the site), and now operates as Lake Pontchartrain Basin Foundation’s New Canal Lighthouse Museum and Education Center. What can visitors expect when visiting? Visitors can experience how the history of a light, a lake and a coast have blended together and visit Louisiana’s only working lighthouse containing an open-to-the-public museum. The museum can be accessed by two sets of stairs or by an elevator “lift” to accommodate those with special needs. The balcony allows the visitor to get a panoramic view of the New Orleans south shore lakefront. Inside, the museum consists of three display areas, one depicting the history of the light and the region, one presenting LPBF’s successful water quality program, and one presenting the challenges addressed with our coastal sustainability program. Trained docents lead the tour and take visitors through the halls to tell how the historic story turned environmental, and how everyone can help sustain our region lead the lighthouse tour. The New Canal Lighthouse also provides more than just museum tours. It has an inviting gift shop, offers educational programs, hosts events and offers a facility to rent! What advice would you give to someone who’s young, and maybe wants to be in a position like yours one day? Non-profits are so wonderful, and it’s great to be part of a mission driven organization! But this is still a business. It helps to be passionate about a cause, but you’ll be most successful with some knowledge of how to run a business. How important do you think the tourism and hospitality industry is in a city like NOLA? It’s so important – it’s our number one industry! I know this because I was raised in a house by a tourism guru. My father supported the tourism industry and raised me to appreciate it. I also often hear when I travel “Oh! You are from New Orleans? I LOVE New Orleans!” which can only happen with a solid industry here. New Orleans is great, and of course people want to come, but to keep folks returning takes the wonderful hospitality that we have here. Where would you like to see New Orleans go in the next five years? I want New Orleans to be THE place to come to, to learn how to manage water. We have the need, and we have the skills, we should be the hub for all things water. We can build our city as the perfect template, and build a hub of expertise here.